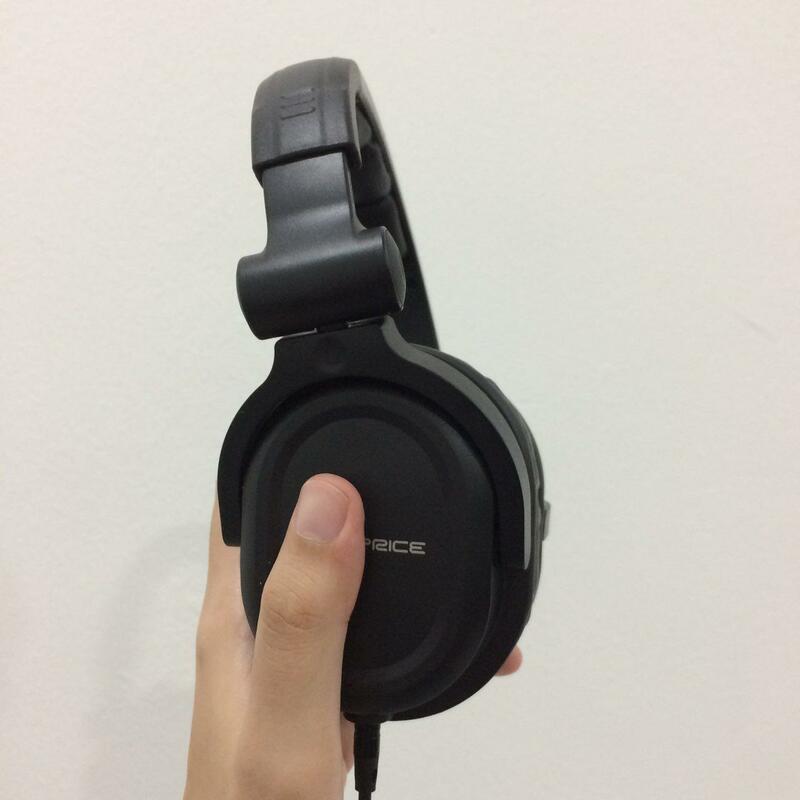 Problem: I always need noise-cancelling headphone. My dream is Bose. Their ear pads look irresistibly comfy but it is very pricey. I have been wasting my money buying cheesy headphones and earphones at some Mamak runcit shop at Cyberjaya and I am totally done letting them ruined my Zen-ness! I am a casual listener. In-ear earphone and small pad headphone experience discomfort me when I am using them for more than 10 minutes. Second point is I am wearing veil and spectacle and it is not veil-friendly that everytime you have to insert in-ear earphone via under the veil. Meanwhile, small pads are not gripping your spectacles firmly. Tip No. 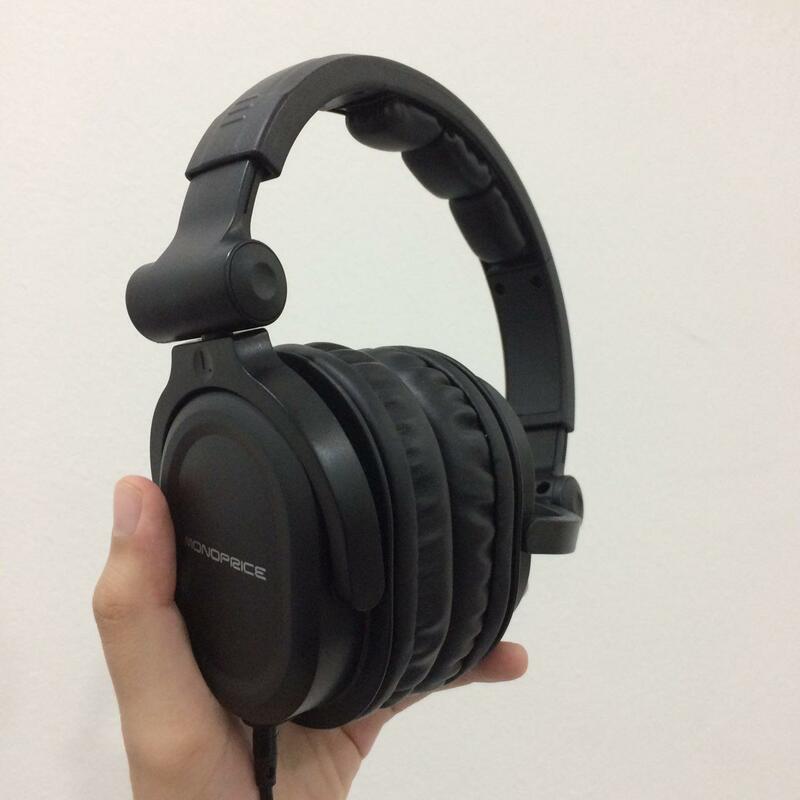 1: Buy headphone or earphone that enhances your lifestyle. Solution: Those two points enough to make me decide to just get a great pair of all over-the-ear headphone. Pre-purchase: I browsed all over Amazon and eyes started to scan reviews. I was looking at price ranges at $20-$30. It was good that Amazon provide comparison table though. As I browsed, I listed a few of cheaper brands in my mind but I rather opt for quality by looking at consistent reviews. 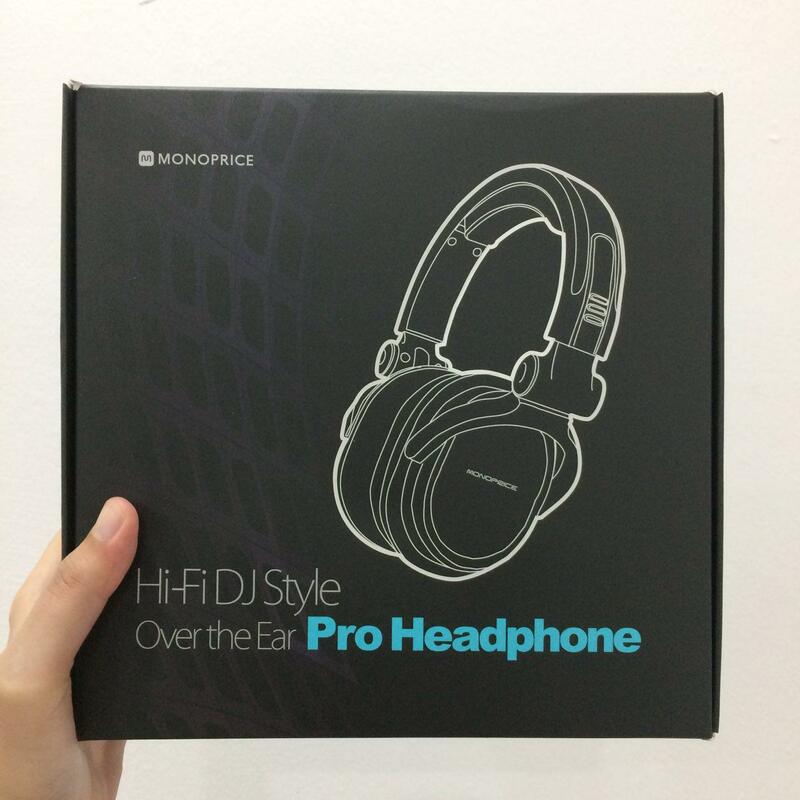 Unfortunately, Monoprice that sells in Amazon is not shipping to Malaysia. I kinda get frustrated at first before I decided to purchase it at its website. A lot cheaper than buying it on Amazon. If you buy at the website and need it ships to Malaysia, it should cost you $38. Before I tempting to purchase this, I consider for such item that can give me half professional and half casual listener sound. When this product mentioned DJ, I immediately thought that this can withstand heavy use which is not my main purpose. Well, DJs spin tunes for some long hours. So, this definitely built for long-term and supreme durability purpose. I also prone to purchase this as it does not have fixed wire. I am quite mobile. Therefore, this feature definitely helpful because if I tear a wire, I can just get a new one and ready to head-dance again! This headphone also provides you two 3.5 mm audio cables, one is thick and one is thin which you can insert either one under the bottom of left earpiece. Honestly, I have little knowledge of decibel and frequency sensitivity which makes reviewing musical gear, audiologically challenging. 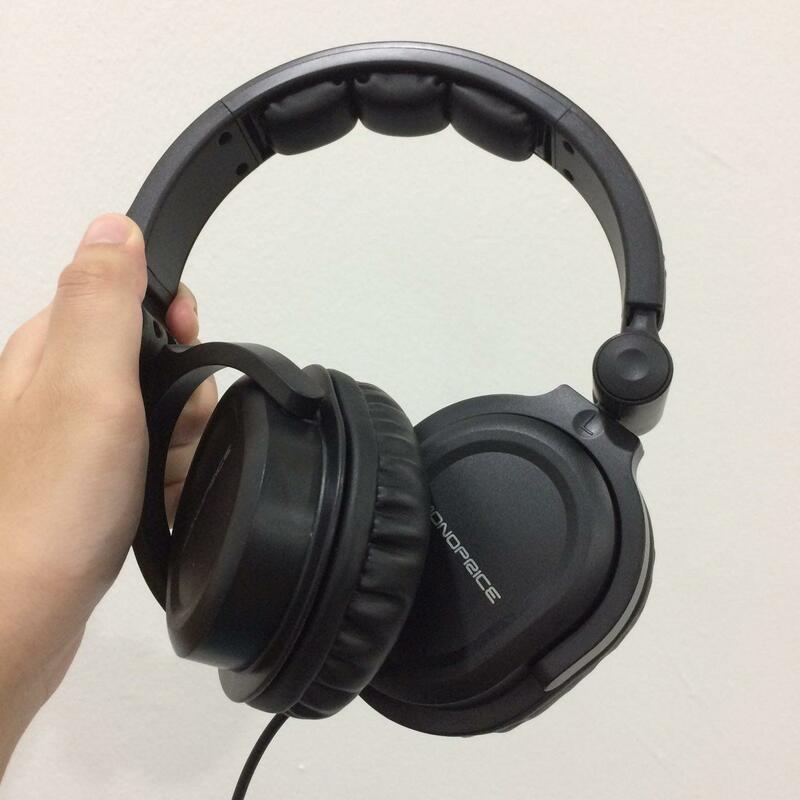 When I plug it with Faded by Alex Walker and increase the beat and volume to maximum, this headphone gives premium sound clarity feeling and my head and my body started to dancing Rihanna. It CANCELS pretty much noise outside when the song played. With maximum noise, the pads aren’t beating at my ears and sound is clear. When I un-wear it, I still hear the beats. So, okay. Peoples from outside can hear what I hear but in low noise compared to previous pairs. But when I cover them with my hands loosely, there is no noise heard outside. Great! Both pads are made of flexible rubber and large in size which of course cover my ears and gripping them and my spectacles just nice. They have good contact over my ears but I feel like to purchase non-rubber pads, not soon. Do you have any ideas? I ordered from its website at 10th September and reached to my house at 19th September. I say UPS is really really fast. Normally, if I ordered something from Amazon USA, it takes 20-30 days to reach! Shipping experience hasn’t been totally smooth though. It reached to my hometown and when I asked my parents, no one seen it or signed it. But it said it was delivered and signed! Who THE HECK sign it for God SAKE?! I got nervous and I went to google if anyone has similar weird experience. 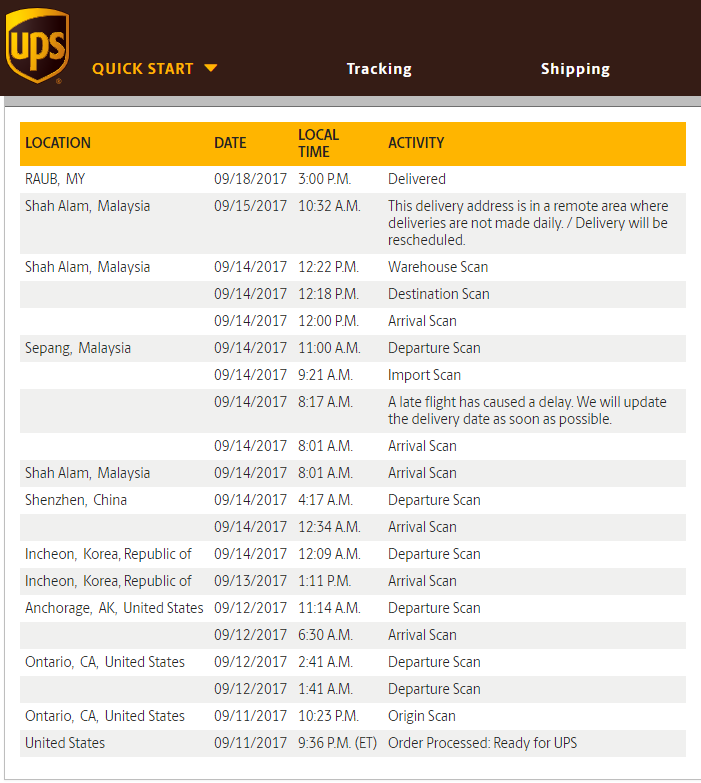 I read that if in 24 hours my package is not received, I should lodge a report to UPS. I emailed UPS at helpups.com and even messaged them on facebook. They reached me. Their local team Malaysian speaker customer support also contacted me and said my home address was quite remote and it’s a problem. 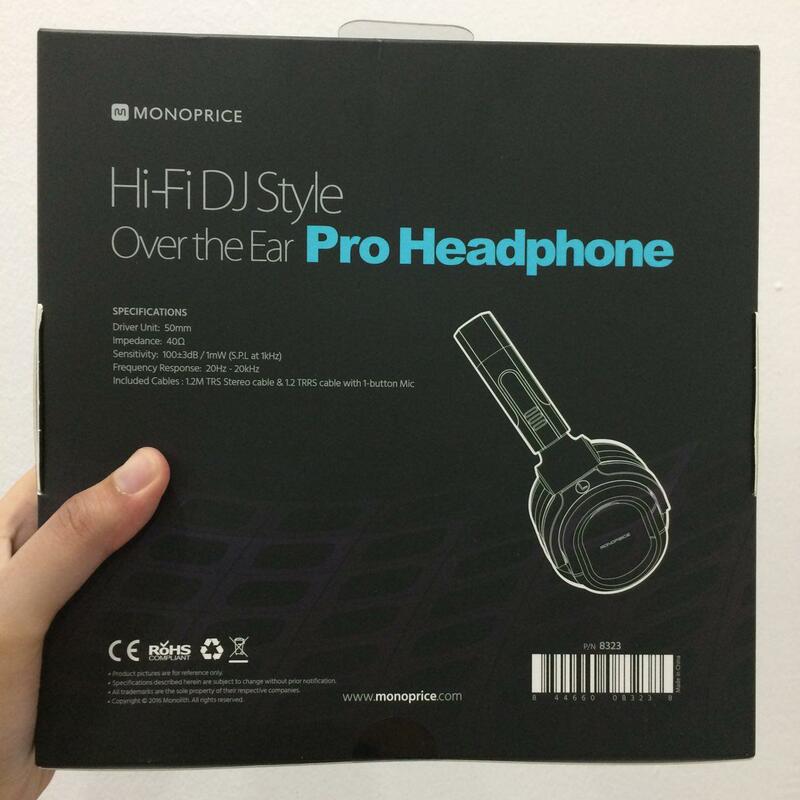 I reached Monoprice too and spoke my problem. Eventually, they somehow ‘resent’ it from Bentong and reached my house in two hours! Bentong-Raub is just 30 minutes only! I was like what world we live in? Aren’t this people using Waze??! Such experience lessen my desire to use the service in future. But it is amazingly fast though! I am happy. Finally, my ears now can enjoy a Zen-gasm sound quality. Purchase this and sounds are clarity!